Why Corrugated? | Planet Paper Box Group Inc. Corrugated packaging protects products in ways often taken for granted. It adapts easily to all shapes and sizes, optimising handling and distribution and interlocking stacking features minimize movement in transit. It can also be customised for easy opening and handling without damaging the product in-store. Corrugated has great retail appeal too. Today’s advanced printing methods can quickly turn it into attractive shelf-ready packaging making it a highly effective marketing tool. Microbiological contamination of fruit and vegetables is a major concern for retailers: pathogen bacteria put food safety at risk while spoilage bacteria impact shelf life. In both cases, packaging is critical. Scientific research led by the University of Bologna has found that corrugated trays keep fruit fresher and safer than reusable plastic containers (RPCs). Up until now, there had been no indisputable proof that corrugated is cleaner and safer, but the findings have revealed that corrugated significantly reduces microbial cross contamination compared with produce packed in RPCs. Corrugated maintains the fruit’s hygiene, freshness, smell, appearance and taste. The result of the tests is yet more proof that corrugated is cleaner and safer. When it comes to preventing microbiological contamination, the science is in no doubt: corrugated board is far superior to RPC. 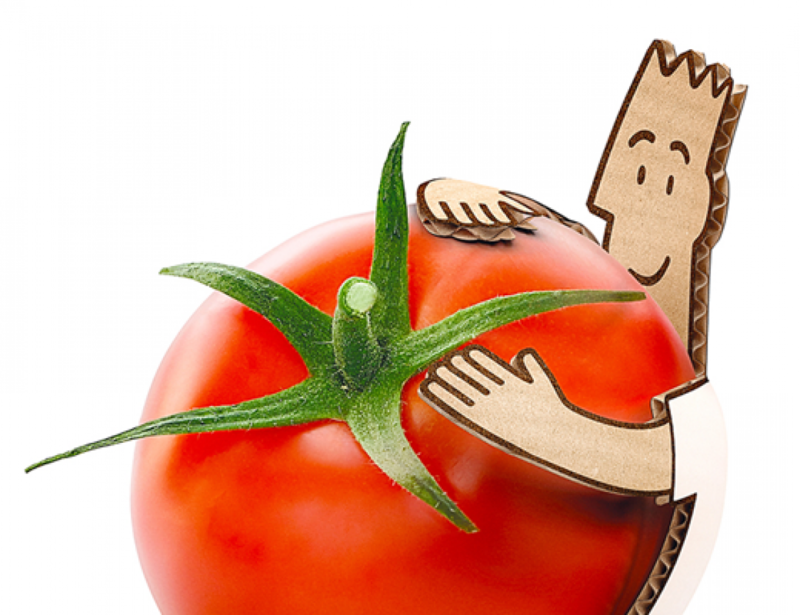 The right packaging can make all the difference for fruit and vegetables. Fresh produce needs packaging that provides cushioning, ventilation, strength, moisture resistance and protection. Hygiene is key when it comes to packaging fresh produce. Cross contamination is a real concern for retailers. Exposure to extreme temperature fluctuations and moisture heightens the risk. Corrugated packaging is only used once before being recycled. Equally important, the corrugated production process involves temperatures and dwell time sufficient to kill microbes, making it incredibly clean. This high level of cleanliness reduces the risk of bacterial cross-contamination during product delivery, unlike returnable plastic crates that are used a number of times. Typical industry cleaning procedures may leave bacteria in cracks and crevices on the crates’ surfaces, even after cleaning. Corrugated is perfect for delivering fruit and vegetables in top condition! Corrugated packaging protects about 75% of all packaged goods transported today. Its unique structure makes it lightweight and yet extremely strong. Single, double or triple walls provide considerable rigidity and resistance, especially from vertical compression. It is necessary to remember that the use of too little packaging may result in product damage, this is why it is important to find the right balance between under-packaging and over-packaging. Its ingenious construction also provides remarkable shock absorption qualities as well as excellent thermal insulation. Stacking heights, footprints, air vents, handles, interlocking mechanisms, moisture resistance, strength requirements are all elements that maximise the protection of food. 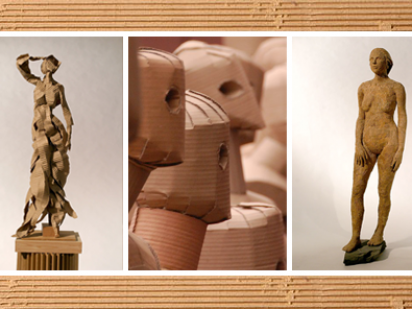 Made from a combination of two sheets of paper called liners and glued to a corrugated inner sheet called fluting, corrugated board is assembled in such a way that it gives the overall structure a greater strength than that of each distinct layer. The result is lightweight but incredibly strong packaging. 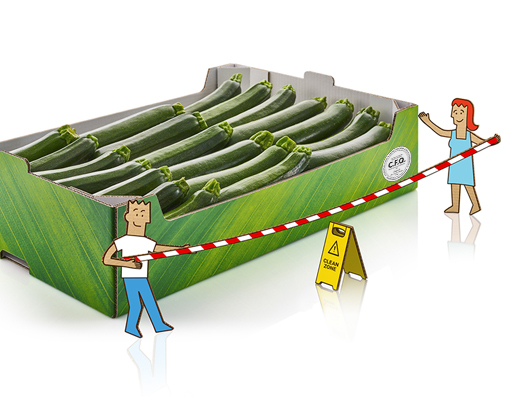 And with the introduction of a new independently audited European-wide standard called the Common Footprint Quality (CFQ), every corrugated tray that bears the CFQ stamp meets the strength requirements to safely transport fruits and vegetables. This ensures that they arrive at their destination in optimum condition, according to the distance of the trip and the weight of the produce. Everyone wants to ensure their vehicles are loaded to full capacity. The more you can fit into a truck the fewer trucks you need, leading to reduced CO2 emissions and real cost savings. Corrugated packaging is strong yet relatively thin, so in itself it doesn’t take up very much space. In addition to that, it can be tailored to precisely fit the products, so there’s no headspace in the secondary or tertiary packaging – meaning it can be filled to the brim. And what’s more, corrugated packaging also optimises the amount of allocated floor space for storage at all points in the logistics chain. Versatile and smart, corrugated packaging is a true winner when it comes to optimising stacking and space use! Corrugated packaging reduces costs: it simplifies labour intensive tasks such as shelf packing and makes better use of available transport space – eliminating extra road miles. Intelligent designs make full use of the unique qualities of highly adaptable corrugated: packaging is precisely tailored to fit the product perfectly, maximising the number of products on each pallet. Suppliers and retailers can make better use of both warehouse and transport space, which means fewer lorries on the road and lower logistics costs – all thanks to corrugated!